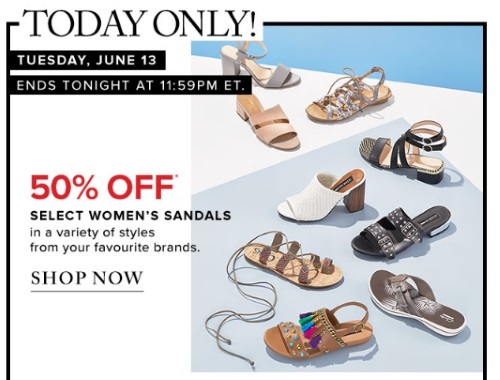 Hudson's Bay One Day Deal today is 50% off select Women's sandals! Perfect for the warm sunny weather that we've been having lately! Choose from a variety of styles from your favourite brands. Offer valid today only, Tuesday, June 13, 2017 until 11:59pm ET in-store and online.